Humla is still in the grip of a hard winter. 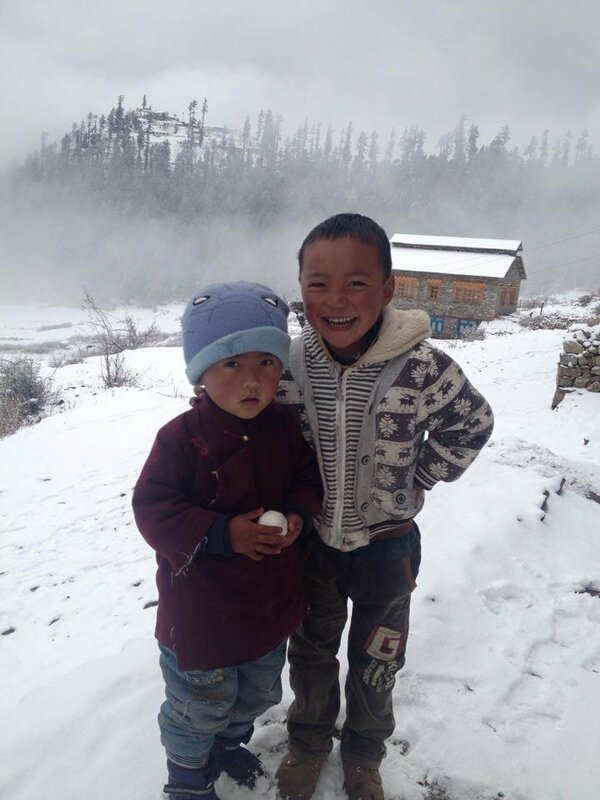 Deep snows have isolated villages and blocked trails and made it even more difficult to move around and communicate. Of course, this is not unusual at these elevations but this winter has been exceptional. The people are very adaptable and mainly cope but, sometimes, it is very difficult. Communications are a problem particularly for the only transport means by light aircraft. Walking far is not an option. Cell phones are now everywhere but they cannot bring in the food and medical supplies! As soon as the weather improves we will push ahead with the final development and opening of our Renewable Energy Service Centre. We have agreed an operational plan with our chosen implementation partner Local Initiative Development Support Consultancy Agency (LIDS). The Nepal Trust will retain ownership of the facility and will fund one technician for the first two years (LIDS will fund a second one). We will also supply all the initial office and mechanical equipment. LIDS will be expected to run a commercial business and the local communities will pay commercial rates. The service will also include advice to communities on how and where to source funding. After the initial 2 year phase lease renewal will be on a 3 year cycle. 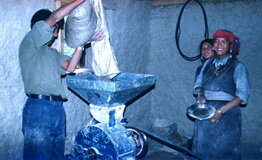 At the present time the Trust is sourcing plant and materials much of which may have to come from India. I hope that by the next report we will have good news that the Centre is almost ready to go. After a hard winter there will probably be much to do servicing and repairing the many hydro and solar installations in the district. We are still looking for your help and hope that you will continue to support this important economic project. Funds are required for the fitting out and start up phase. Thank you so much for all your support and interest and do, please, pass on the news to your friends and colleagues. 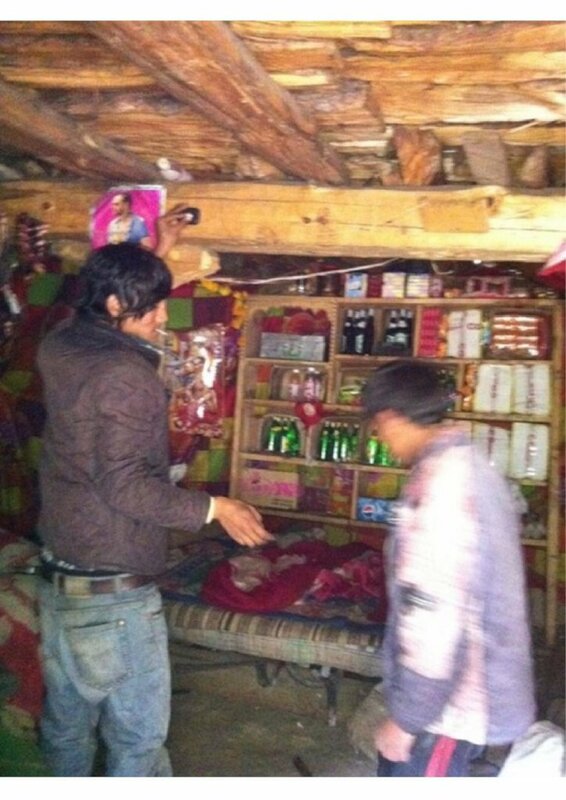 The people of Humla already have a negligable carbon footprint let's make it a positive one! Nepal Trust team with Ghoti MHP committee. There is definitely more light! Our 5 year Project Agreement with the government has now been approved and we can now look forward to moving ahead with the implementation of the new innovative Renewable Energy Service Centre. 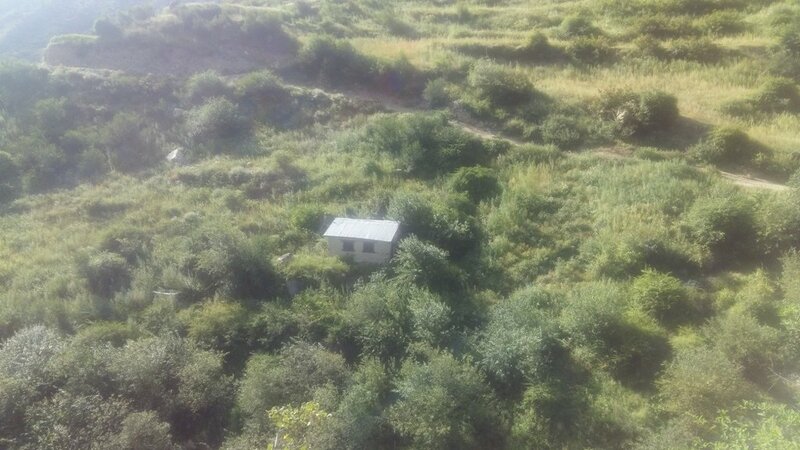 This unique and important project is needed badly in the remote region of the Hidden Himalayas. RE projects that break down very often are never repaired due to lack of skills and resources. 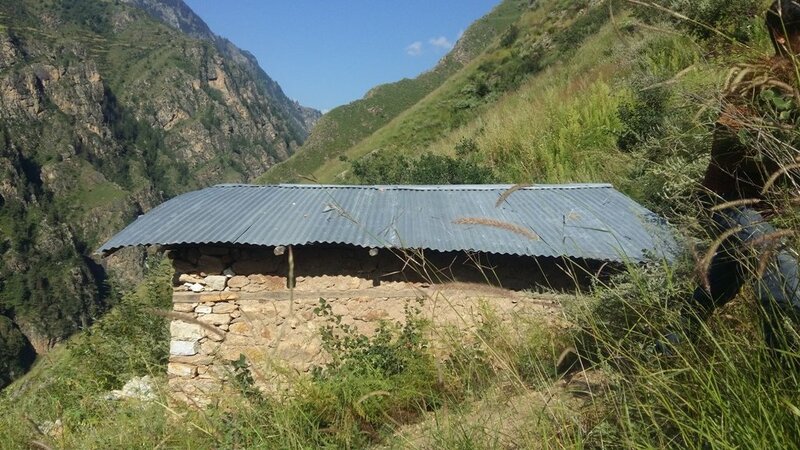 The Nepal Trust have been drivers in the push to establish RE projects throughout the district and have set high standards for others to follow. However, the cost of repair and maintenance has been high due to having to import the necessary skills and spare parts. The idea of having a Service Centre is to reduce this cost and to have at hand all the required skills and parts to provide servicing and repairs throughout the district. It is worth summarising what the Nepal Trust has achieved over recent years and why we have received international recognition for our work and innovation. We have built 7 Micro-hydro schemes for 8000 beneficiaries and 11 Community Solar projects benefitting 4500 people. We have also provided solar energy schemes to the local hospital, guest houses, and health centres. We have installed 7 Food Grinders and 2 Oil press machines. Other agencies have built schemes that more than double our figures. 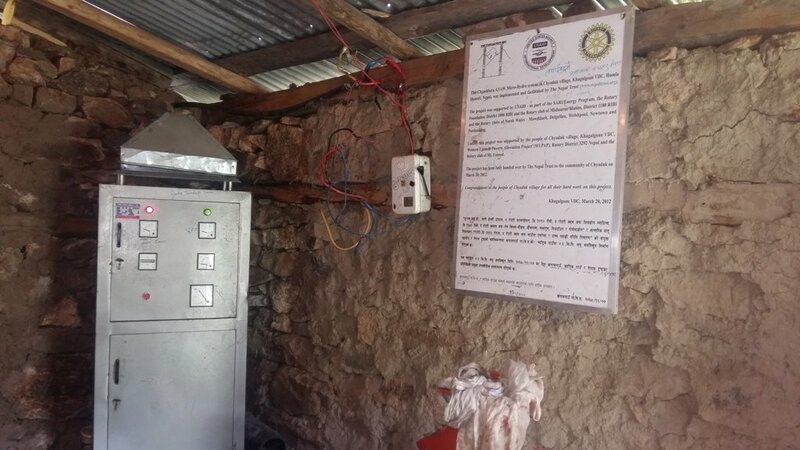 The Service Centre has been built and serviced with power and water and is near ready for operation.Our chosen local NGO is Local Initiative Development Support Consultancy Agency (LIDS) who will be responsible for the operation and management. The Trust will retain a responsibility for the provision of electrical, mechanical, civil and technical/support materials over the implementation phase of 5 years with a phase out period over 10 years. We will not run away! I am very excited about this project and I hope you are too. Renewable energy is good for the planet and good for the people of this remote region who are never likely to be linked up to national grid. I want to thank you for all your support and encouragement and I hope you will continue to help in some way. 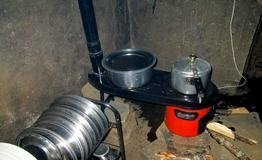 Tell your friends about us and encourage them to support these very remote and very poor people. At the same time you will be helping to slow down global warming and climate change. Now that is some target! Happy with her new solar panel. 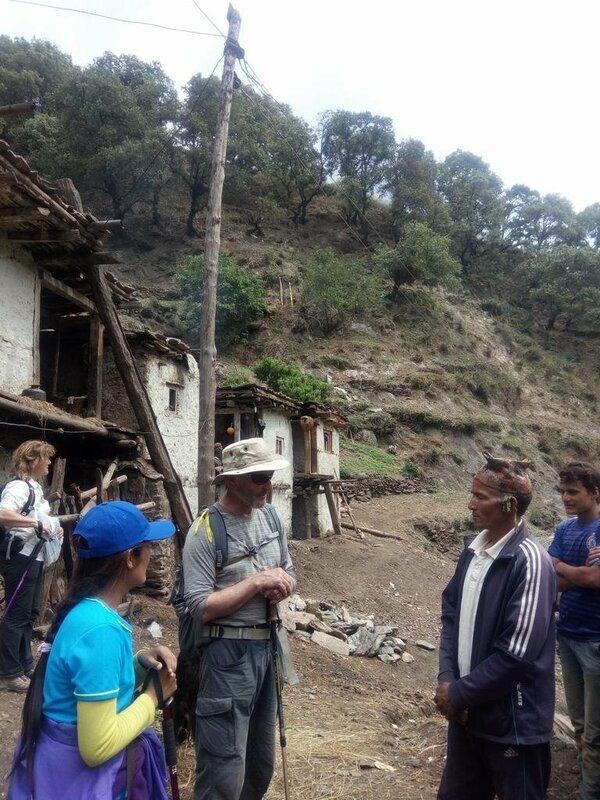 Our team in Nepal have just arrived back from the field. 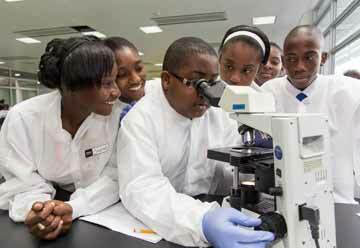 They have been leading a government evaluation team to check out our proposals for a new 5 year plan. This is an essential part of the approval process that, unfortunately, takes time and slows down our work in the field. The good news is they were very happy with what they saw and we should expect to receive the closing letter from the Social Works Council (SWC) within the next 1 - 2 weeks. We can now move ahead with the final development of our new and innovative Renewable Energy Service Centre (SC). Working in collaboration with our chosen NGO the Local Initiative Development Support Consultancy Agency (LIDS) we can now start equipment procurement and fitting out of the SC. 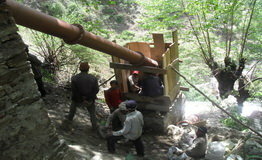 During the groups stay in Humla there was a micro-hydro power failure in one of the villages they stayed in. This was a project built in the early 90s by a bi-lateral agency and with a long history of problems. 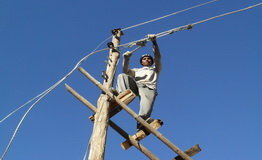 Previously repairs have not been carried out urgently due to cost and having to get engineers from Kathmandu or India. The SC project will hopefully solve this problem and ensure the smooth running of the many schemes in the district. It will also provide a blueprint for similar schemes in other remote areas of the Himalayas. Thank you for all your patience and support for this fantastic project. 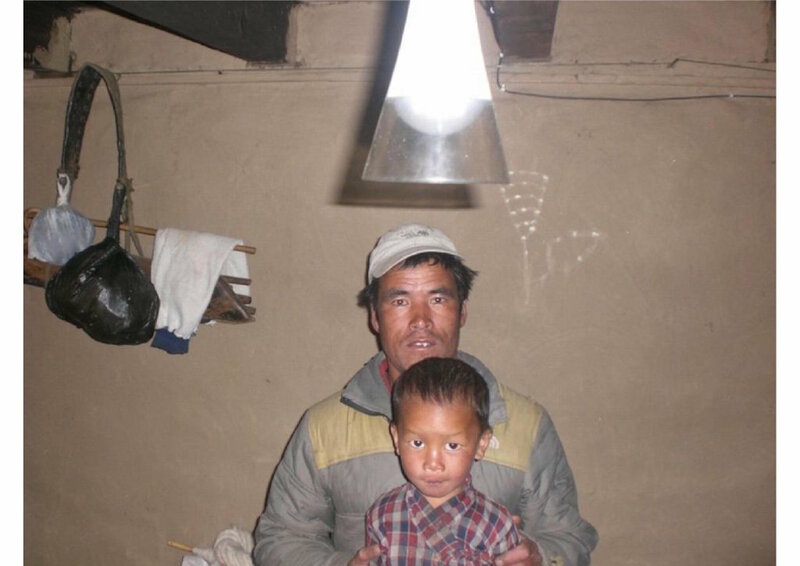 Clean renewable energy has made remarkable improvements to the health and wellbeing of the local inhabitants of this remote part of the world. The SC will ensure a stronger and more reliable future and encourage further development. Please tell your friends about us and encourage their support. Perhaps you know of renewable energy companies that might want to help? A happy father and son. Dear Friends and Supporters. Progress continues to be slow in this project. While the infrastructure is now all in place we cannot begin operations until an agreement with the Social Works Council (SWC) is made. For International NGOs like ourselves it is necessary to make agreements in 5 year cycles. It is very bureaucratic and time consuming but we hope to have all signed and sealed within the next month. There are always mountains to climb in Nepal but if you focus hard you eventually get there! 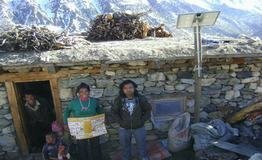 In previous reports I have written about some of the work we have achieved that makes us one of the most successful promoters of renewable energy systems in Nepal. I would like to tell you about another one that was built 10 years a go by a group of older scouts from the north of England. 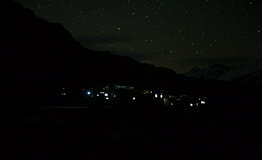 This was a solar energy project in the village of Til in the beautiful Limi valley. 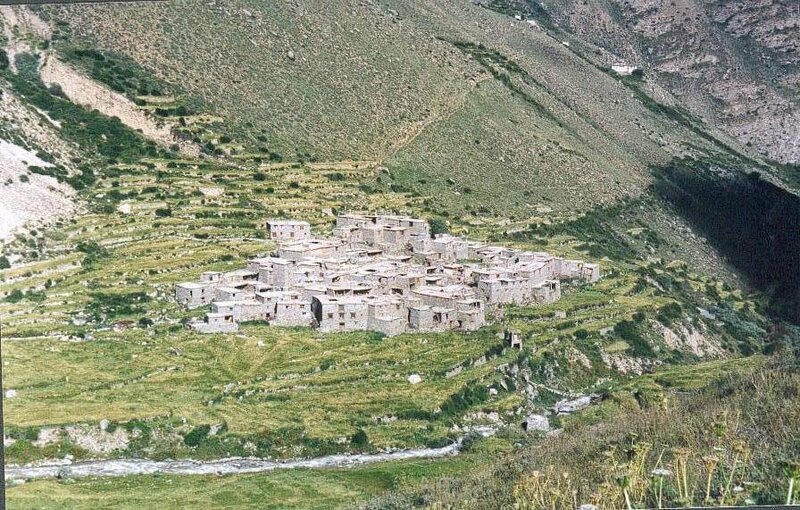 Limi is the remotest hidden valley in the Nepal Himalayas, very close to Tibet and with a 5 days walk south to Simikot, the capital of Humla. It is, in fact, closer to Tibet and economically dependent on trade with China. 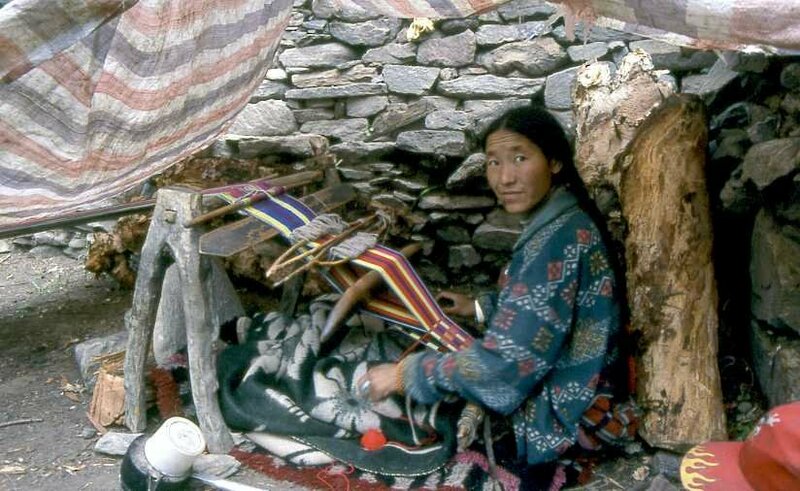 There are three main villages in the Limi valley all of ethnic Tibetan stock and a treasure house of ancient Tibetan culture. 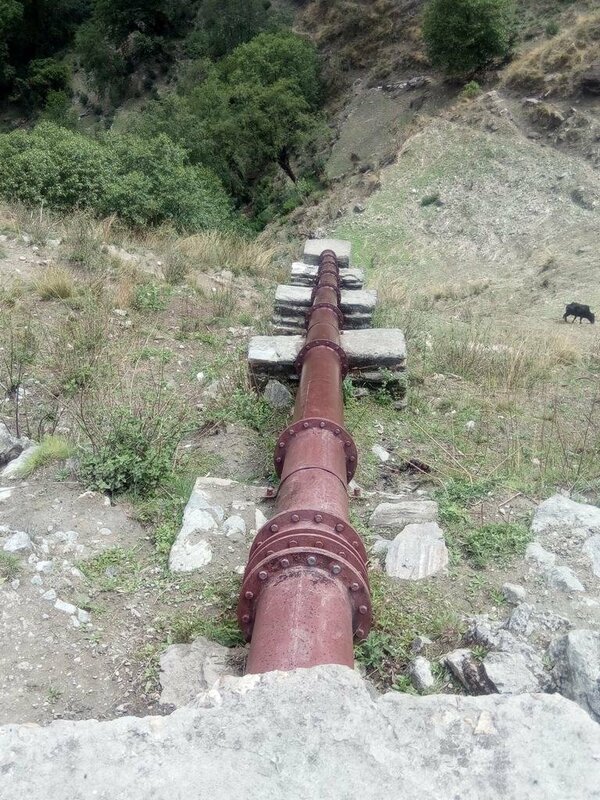 A hydro electric scheme was built in Til 2 years earlier by the Nepal Trust but because of elevation and location it freezes in the winter months and has to be shut down. 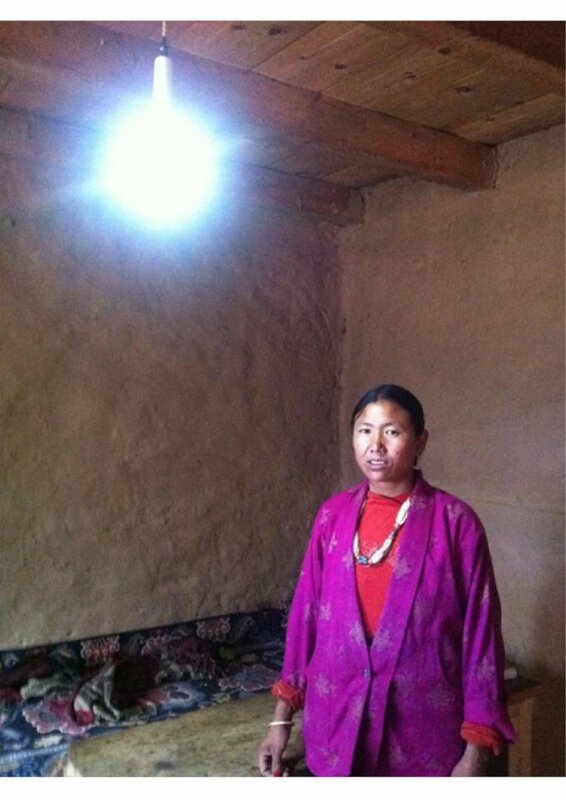 Solar panels have been provided to supply all year round clean energy as have each of the other villages in Limi. 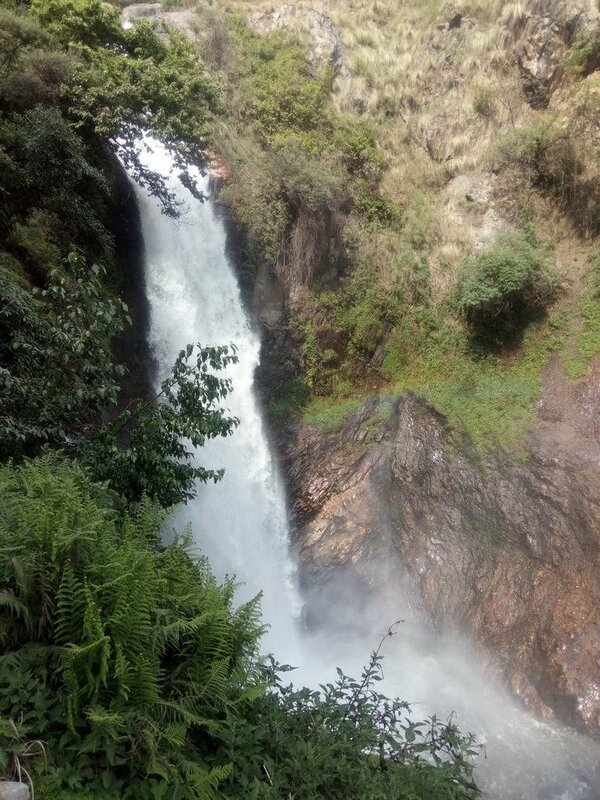 The following report was prepared by a scout leader to describe their trip, and a life changing experience, to this remote region. All project funding was raised by the scouts. 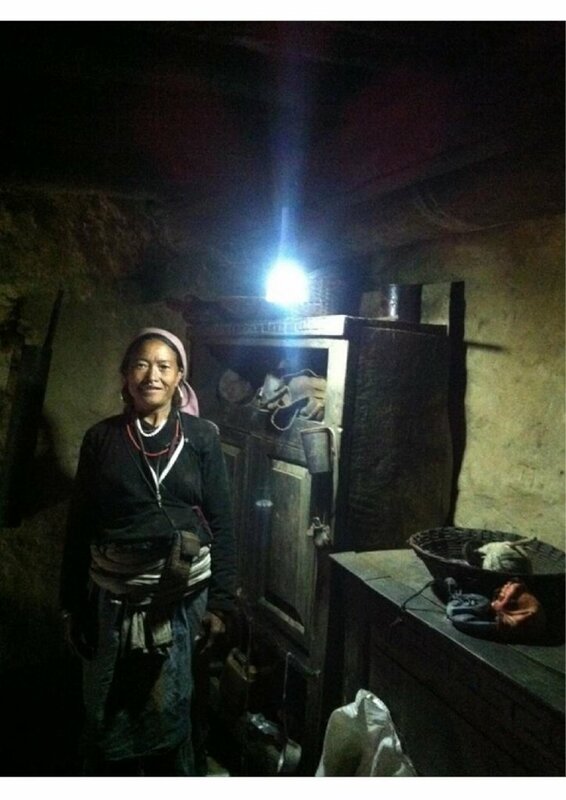 Scouts Light Up the Lives of Villagers. 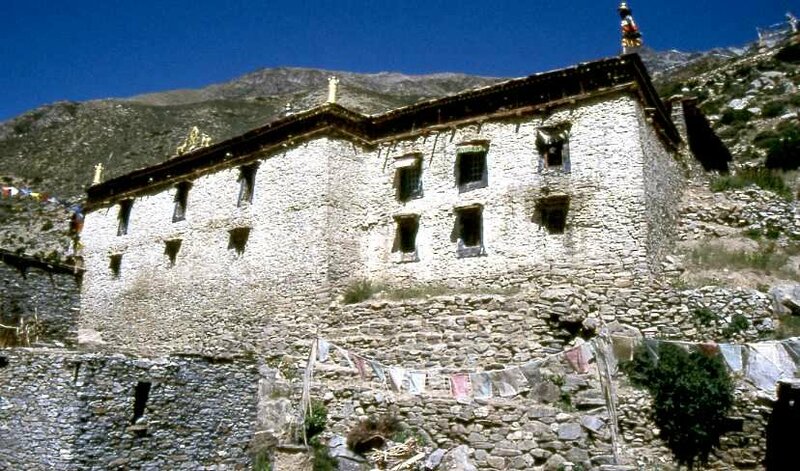 In August 2007 we, the Wharfedale Scouts, embarked upon an expedition in Nepal to install 50 solar panels in the remote village of Til in the Himalayas. 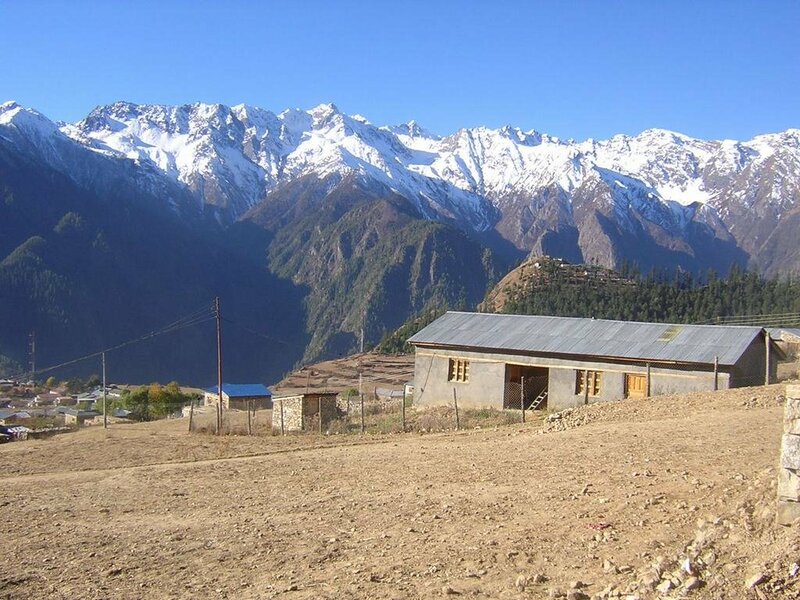 The trip took thirty days including days either side of the trek to explore the Kathmandu valley and Humla district. After a couple of days sightseeing around Kathmandu we took a sixteen and a half hour coach journey to Surkhet. We then had an unexpected helicopter ride up to Simikot and completed a trial walk to acclimatise. 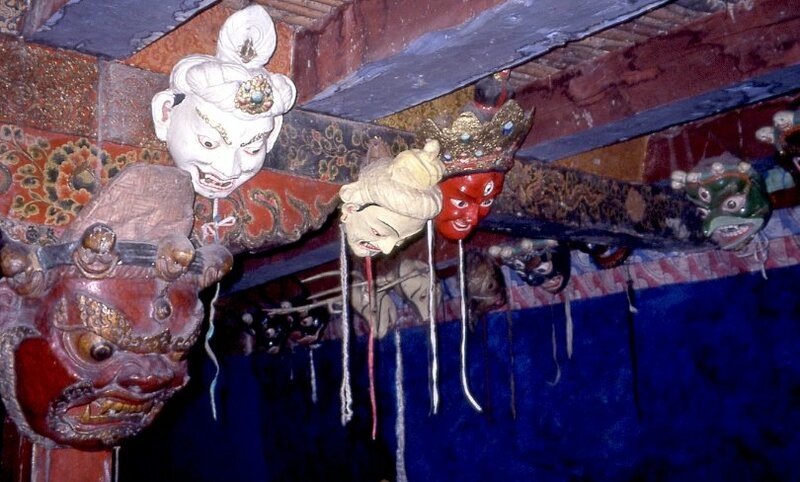 The night was spent in the Nepal Trust Guest House. The next day we set off on the trek, taking a trail over a 4988m pass in order to reach our destination. It took us two and a half days to install the solar panels and on the third night the village had a celebration to thank us for the work, including traditional food, drinks, songs, drama and dance. In return we stood proudly and performed 'Kum bah yah' and 'On Ilkley Moor Ba Tat' and then spent the evening listening to more of their traditional music and joining in the dancing. 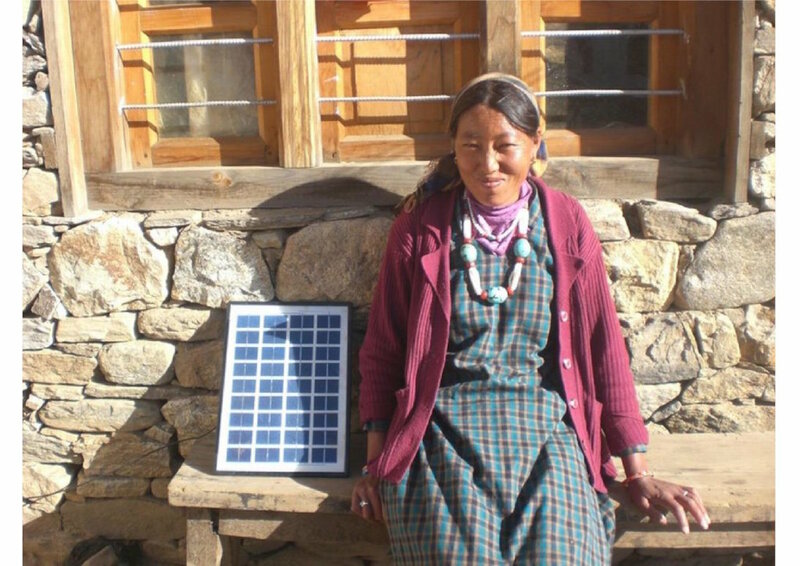 We were given a beautiful speech from one of the village leaders about how the solar panels would improve the village's education and general welfare before returning to Simikot via the Tibetan border. Our trip ended in the Kathmandu valley with a chance to go white water rafting. The trip was a life-changing, phenomenal, cultural experience for us all and so thank you ever so much to the Nepal Trust for giving us this opportunity! I sincerely hope to have a better progress report next time and I hope you will bear with us. Choosing to work in such a remote and difficult region has its problems! Thanks for all your support and I hope you will continue to follow us. Tell your friends and remember, life without electricity wouldn't be much fun. Renewable Energy - the resource for the future. My apologies but there has been little movement with this project since my last report. As indicated then winter was on its way and moving about in the Hidden Himalayas can be problematic. This has proven to be the situation with, probably, one of the worst winters in living memory. Not a huge problem for local people who have to get on with their lives but difficult for outsiders. Clean renewable energy is recognised as the power source of the future throughout the world. 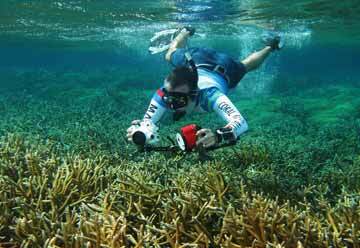 If we are to avoid catastrophic climate change we have to change our ways and act quickly. 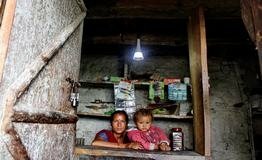 The remote parts of the Himalayas have little choice but to adopt these new technologies or continue with the traditional ways of deforestation and smoky oil lamps; bad for the environment and very bad for personal health. There is little chance of connection to a national grid and government support is negligable, their only real choice is to manage community based systems that require some expertise and technical support. That is why the Nepal Trust is so proactive in this area and very anxious to get this new Service Centre off the ground. 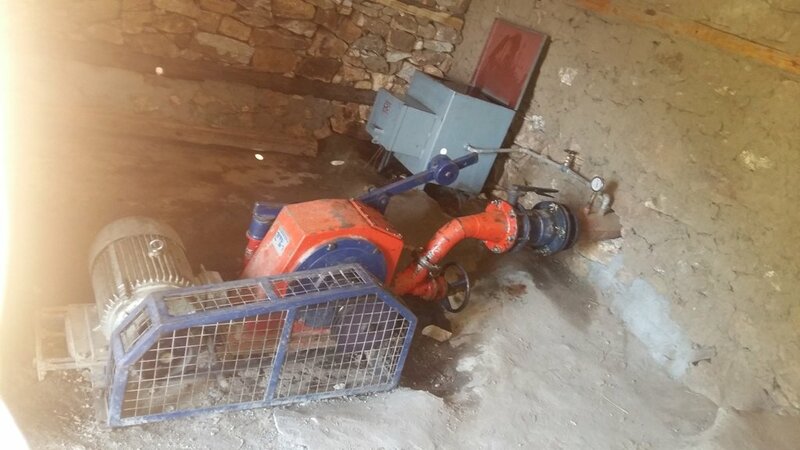 We have an excellent record of supporting and maintaining the many installations constructed over the last 20 years but it is now time to build sustainability in to the system and that is why we need to have a locally managed Service Centre ready to deal with problems that are usually beyond the capabilities of poor hill farmers. 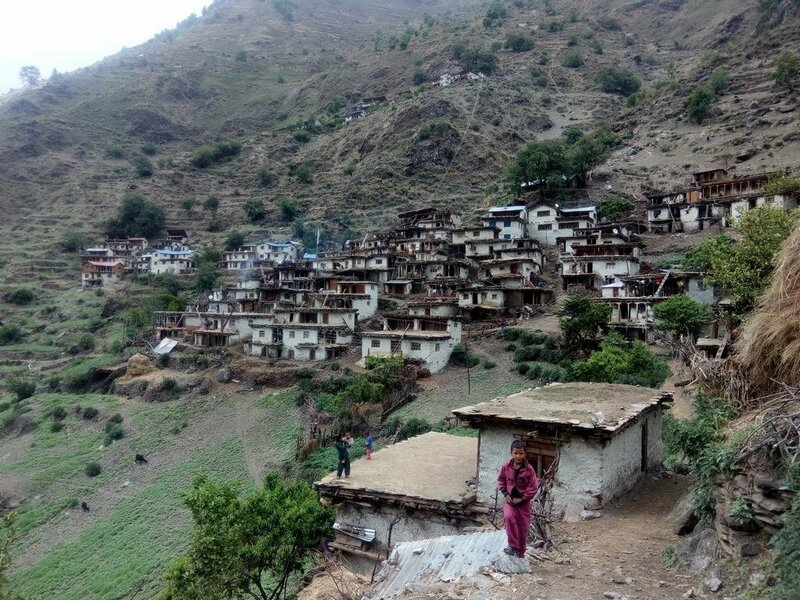 The village of Ghoti in south Humla is at the centre of rapid economic activity. 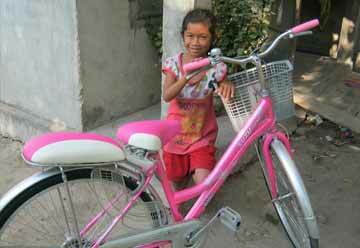 The nearby village of Sakegad is home to a Nepal Trust Health Clinic and Birthing Centre. A new hospital is nearing completion and there is a busy secondary school, the only one outside Simikot. 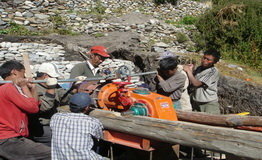 In 1998 village elders approached the Trust with the idea to construct a hydro electric scheme. 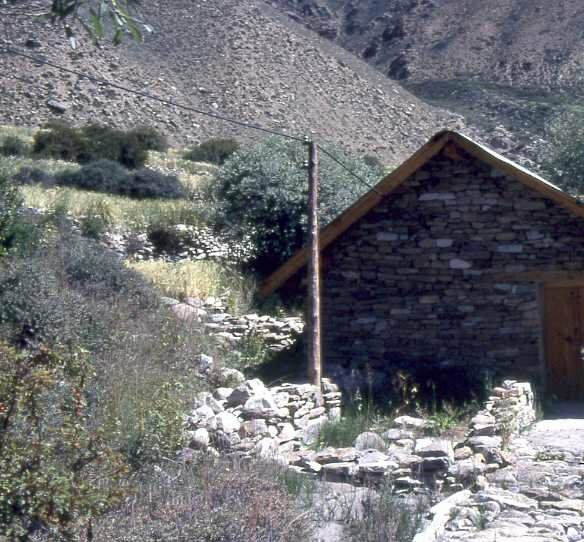 They had a very good perpetual water source and the new clinic, the school, mills and homes would all benefit. Wood supplies were getting more and more difficult to source. The Trust agreed and a proposal was prepared. Unfortunately all plans had to be put on hold for a number of years due to the civil war that erupted and particularly as this area became a centre of rebel activity. When peace arrived interest was reignited and plans were resurrected. Costs, due to inflation, had risen steeply but the local people were enthusiastic and helped to source grants and provide local labour and resources during construction. 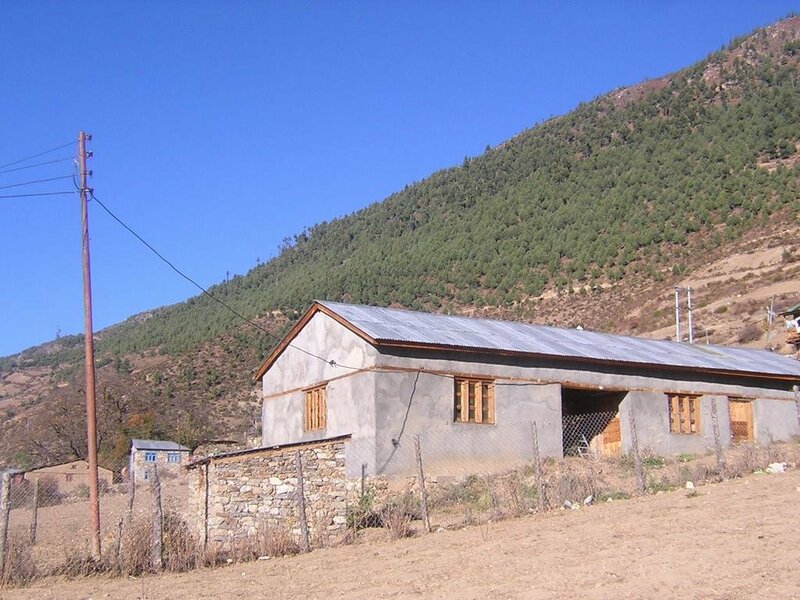 The Ghoti scheme is probably one the largest private schemes in Nepal and provides power to 5 villages, schools, clinics, food and wood mills and has opened up a whole new area of economic possibilities. Our Country Director, Jeroen van den Bergh, visited the area 9 months ago. Following is a short report he has prepared that demonstrates the need, some issues and the satisfaction of completing a much needed project. When we visited Gothi in 2007 we had a big meeting on the rock with the entire community discussing the plans forward. In 2008 I revisited the site to sign all local contracts and await the first helicopters flying in as from 2008 onward we started the implementation of the project, which took over 4 years work, basically a day-to-day affair. 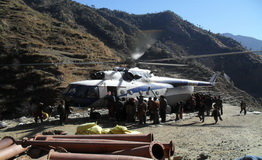 In order to ship in all the equipment by helicopters, we had to create a new helicopter platform, for which we had to fly in civil aviation and Nepal army to verify the site. So for this project we created an official landing site in the district. At that time during my field trip, I also worked with a health worker called Jerome, as we had health volunteers during that period, helping out in the health post we constructed in the same area. 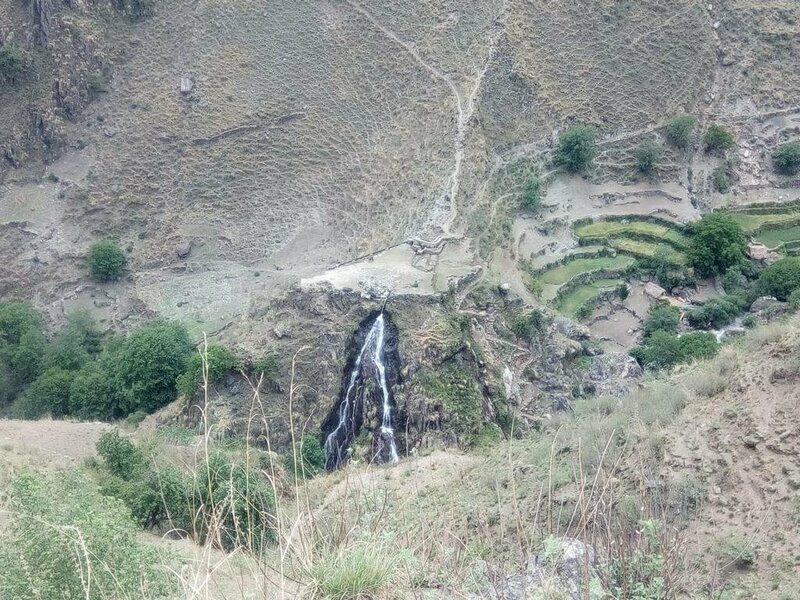 He knew about the plans to construct a micro-hydro in Gothi since he was a young boy, so he couldn't believe that after almost 10 years it finally became a reality. The happiness on his face made me realize why we do this work. It was a genuine happy feeling. At that time Gothi was almost like a beehive village, with not much modern development. Many discussions took place and after 4 years of work the scheme was finally inaugurated and made operational. Now when visiting the site it was a great pleasure to see the scheme still working and especially the civil and mechanical components were in good condition. Gothi has been way more developed and more modern GI sheet roofs have taken over from traditional structures. A whole different sight. 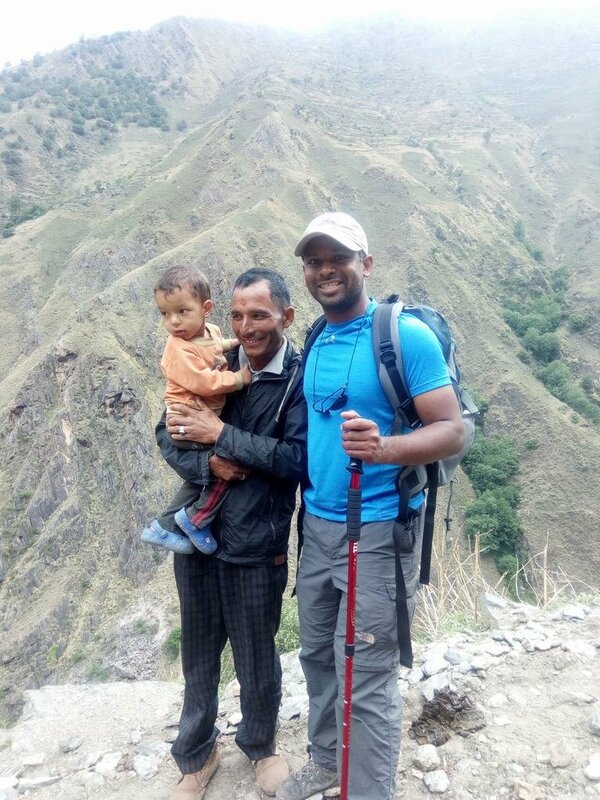 A pleasant surprise was that on the way back to Simikot, I met Jerome with his new son along the way. We recognized each other instantly, which was a nice meeting after pretty much 10 years. The Ghoti project is one of many such projects the Trust has implemented over the years. 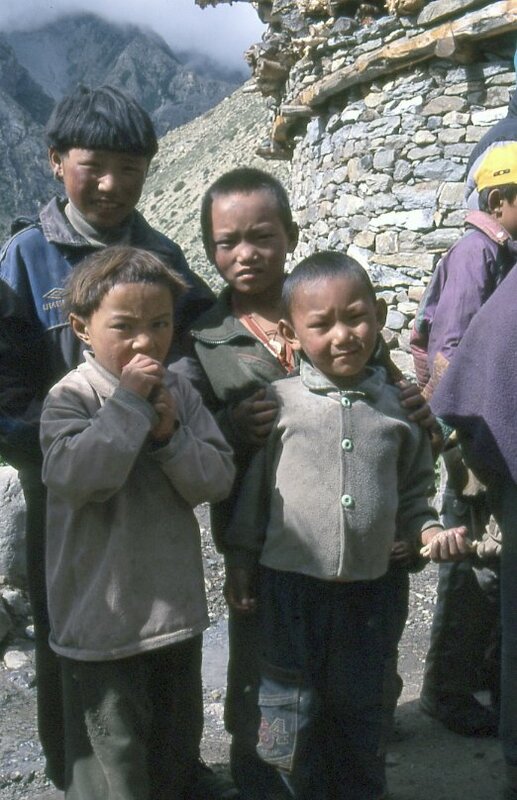 If these remote mountain people are to survive they must adapt, which they are doing but they need our help. We still need your support to get this project off the ground so I hope you will continue to contribute in some way. Perhaps you can encourage friends, neighbours and colleagues to help? Do you know anyone with a passion for renewable energy and saving the planet that might be interested? 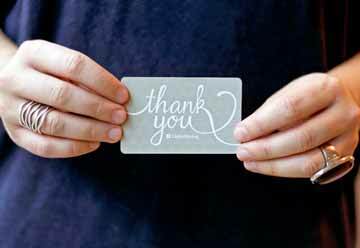 Thank you for all you have done to support our cause.